Purchase A Fire Extinguisher – If you don’t have a fire extinguisher in your kitchen, now is the time to get at least one. Plan a family meeting and teach everyone in the household when and how to use it. It’s an easy way to prevent a small kitchen fire from getting out of hand. Seal Up Drafty Windows – Feel cool air blowing in around windows or doors? Seal them up now! You’ll be glad you did when those summer air conditioning bills arrive. Newlywed Insurance Review – Did you get married this month? Call us to schedule a newlywed insurance review! We’ll look at your individual policies and discuss how best to combine them for your new household. Show The Love! 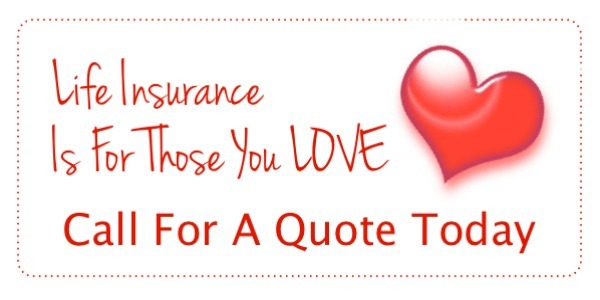 – There is no better way to show your family how much you love them, then with the proper amount of life insurance! We can give you a quote on an affordable term policy and help you get this important coverage in place quickly.